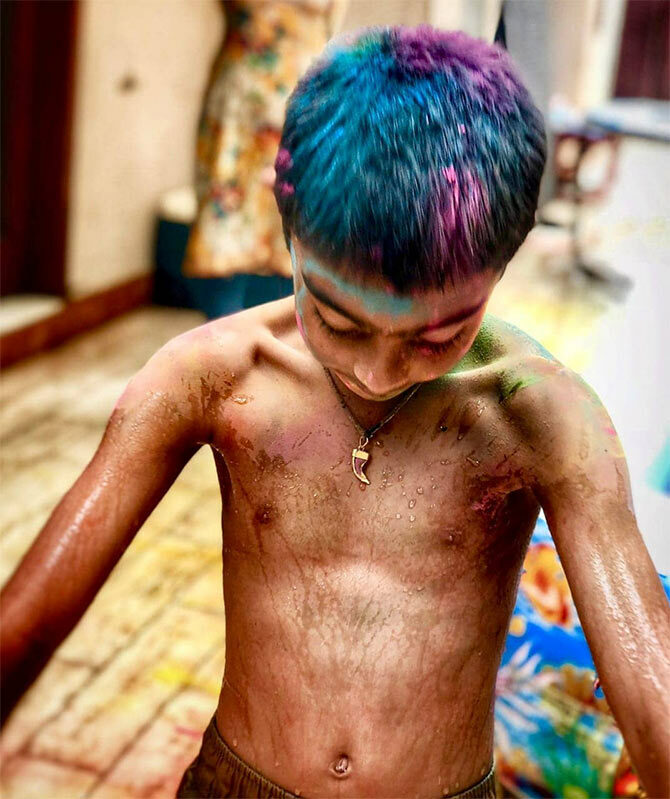 Holi is a festival children seem to love. 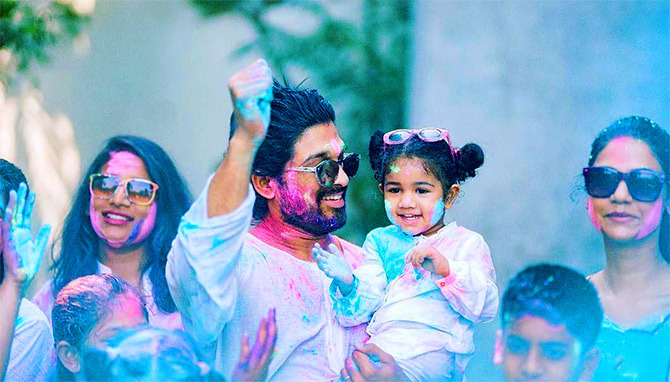 And Bollywood's little tots make such pretty pictures in festive colours, clicked to perfection by their proud star parents. 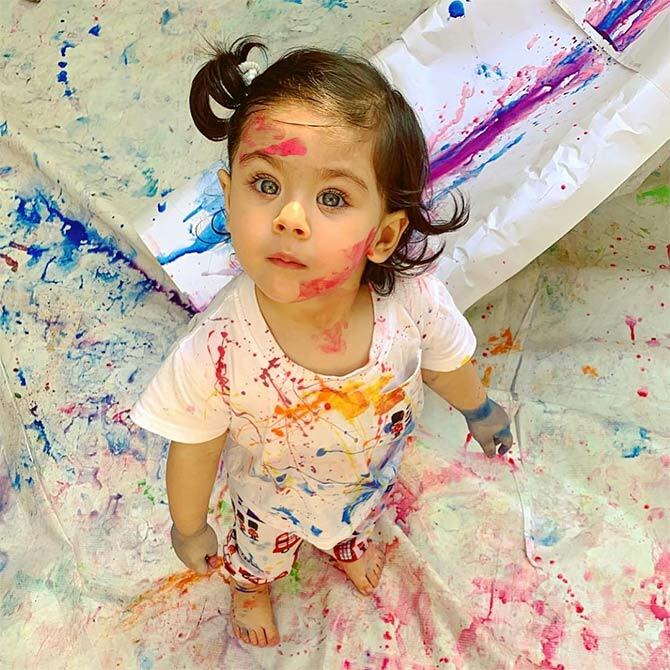 Here's a look at the sweetest pictures posted on Instagram. 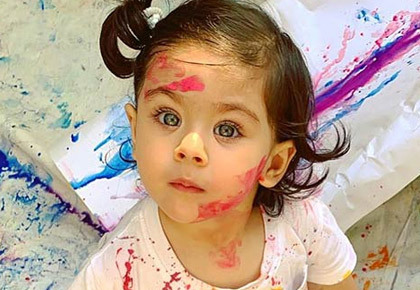 Inaaya,Soha Ali Khan and Kunal Khemmu's little munchkin, discovers the colours of Holi. 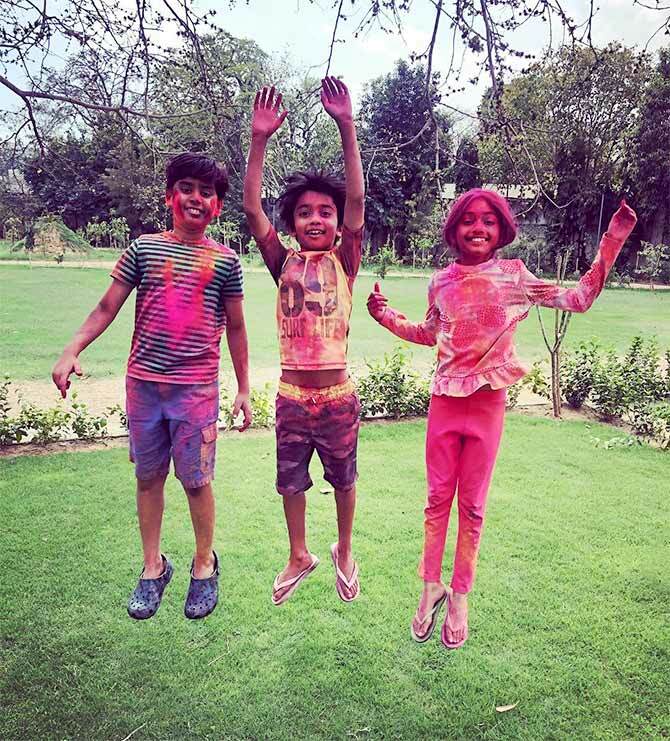 Farah Khan's triplets -- Czar, Diya and Anya -- bring in Holi in Jaipur. 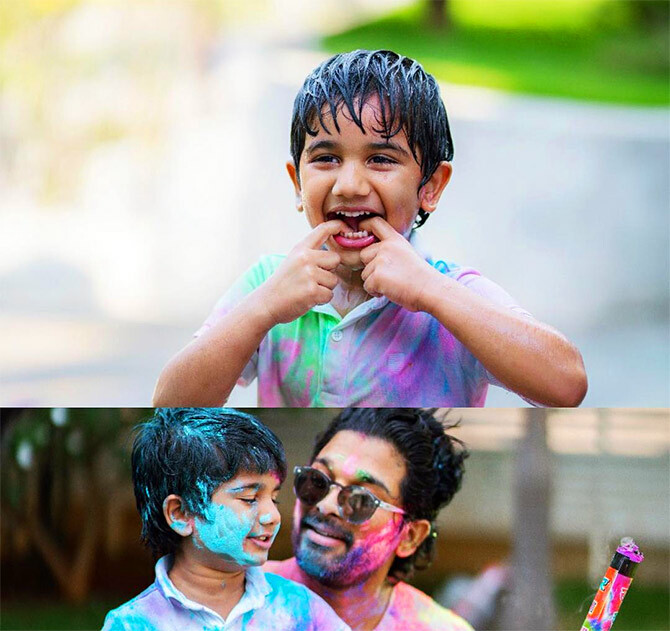 The different shades of Holi in Ajay Devgn's son, Yug. 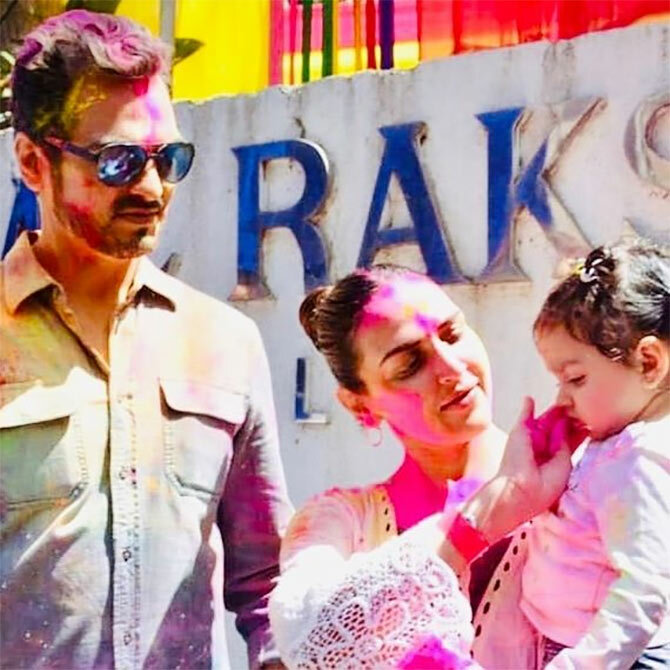 Bharat Takhtani looks on as his wife Esha Deol applies gulaal on their daughter Radhya. 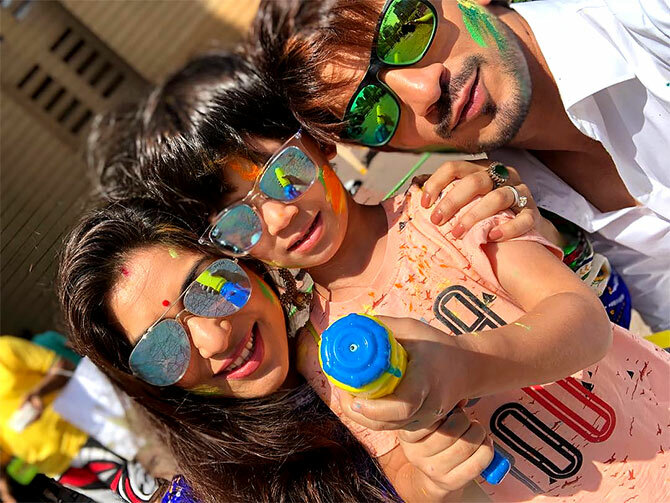 Television actor Arjun Bijlani and his wife Neha Swami play Holi with their son Ayaan. 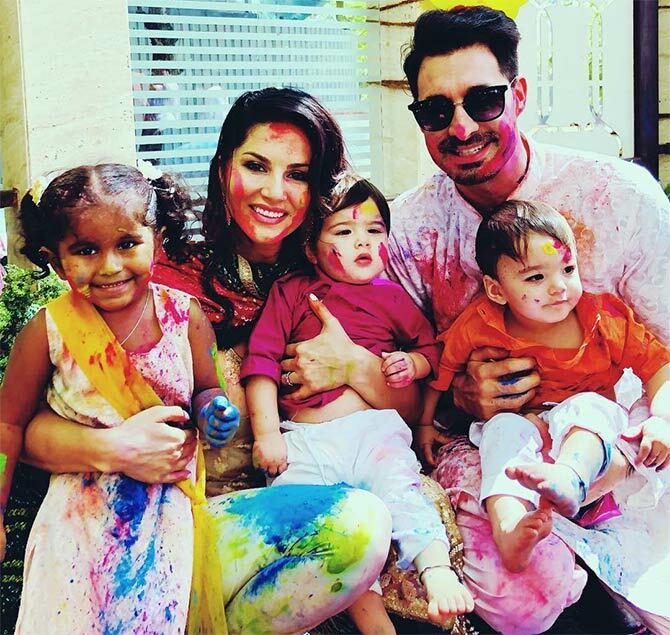 Sunny Leone and Daniel Weber with their colourful brood, Nisha, Asher and Noah. 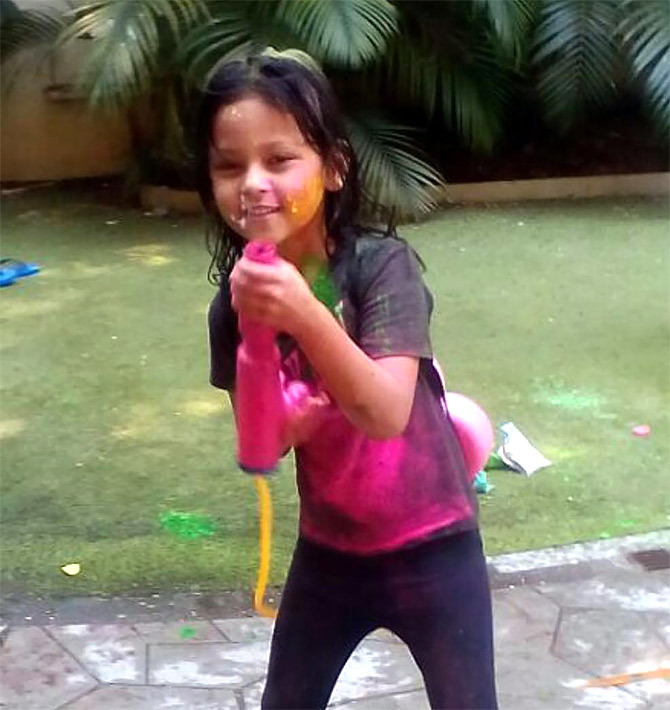 Neelam's daughter Ahana whips out her watergun!